In constructing roadways, safety is paramount. It is crucial that your workers are safe along with the citizens that may surround your work. In British Columbia, creating a Traffic Management Plan (TMP) is essential. Traffic Management Plans as outlined by the Ministry of Transportation for British Columbia details "the Proponent’s specific plan to implement the project's Traffic Management Strategy.” Every Traffic Management Strategy (TMS) must follow the Ministry’s guidelines, and the Traffic Management Plan (TMP) will help break down the strategy, ensuring guidelines are met at every step of the project. When is a Traffic Management Plan (TMP) used? TMP’s are used for all major Ministry and non-Ministry funded projects including roadwork on highways and many roadways. During these projects, temporary closures are unacceptable due to the significant burden they may cause the public. In these cases, a Traffic Management Strategy is developed to ensure the nature of the project is outlined and that a risk assessment is completed. The TMP that is created, following the approval of the TMS, is a working document that will provide the guidelines including the level of impact the project will have on everyone. It will also include where traffic control personnel will be situated during the course of the project. - Traffic Control plans: This plan is developed based on texts, layouts, and drawings that will identify the traffic control measures needed for the project. A strong description of the work area including the placement of traffic control devices is necessary to provide a reliable plan. The Ministry has provided a template for Traffic Control Plans here, see Appendix B. - Public Information Plans: This plan outlines the communications strategy used to inform the public about the level of disruption this work will cause. This plan may include elements such as informing the public through the media, on TV or radio, through signage, social media, or possibly meetings depending on the level and scale of the project. A) Incident Response Plan– This plan will identify the possible risks and incidents that could occur, and how your team will respond to an incident. 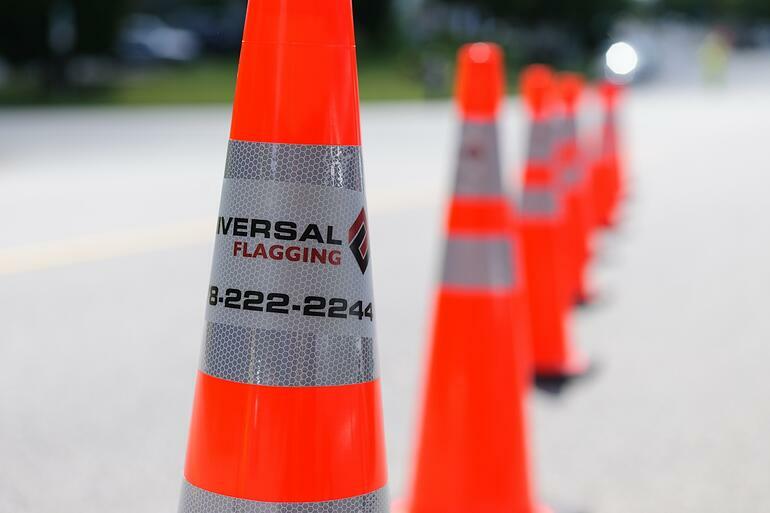 The measures of responding to an incident might include; contacting an emergency response agency, informing the Ministry of Transportation, stopping work due to the level of incident, and methods of recording the incident for reporting purposes. B) Incident Management Plan – This plan will ensure any emergency incidents are managed correctly and will include a list of priorities and procedures to guarantee the proper management of the incident. - Implementation plan: This plan outlines the method for implementing the sub plans listed above. The plan will name the responsibilities and duties of members of the project to make sure every sub-plan is coordinated and implemented. This might include assigning a designated supervisor or manager. For more information, please take a look at the Ministry of Transportation’s Traffic Management Guidelines for Work on Roadways.